The Content Marketing Solar System by DA14 is a mechanism by which we help clients produce engaging content driving prospects through specific landing pages as part of a comprehensive Inbound Marketing Funnel strategy. The WEBSITE acts like the Sun in our Solar System with each Content Strategy acting as Planets. 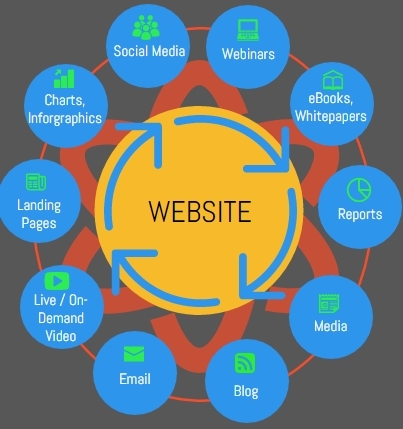 Each Content Planet is interconnected leading individuals back to the WEBSITE by which we Capture Leads per our marketing funnel. Some tools we use to grow networks is developed through creative LiveLaunch video content marketing programs that can be syndicated to media outlets. We skillfully and strategically create LiveLaunch programs which can play a major role in growing engagement, followers, email lists, and revenue.